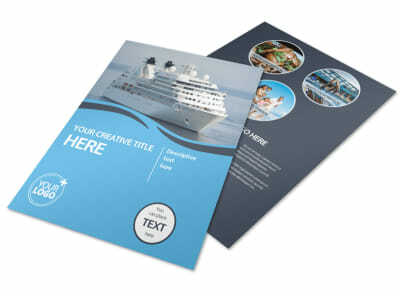 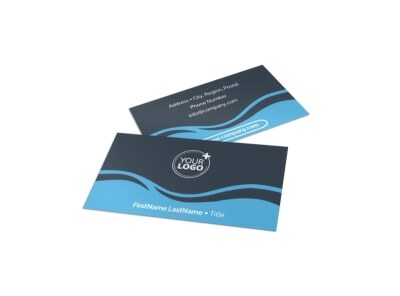 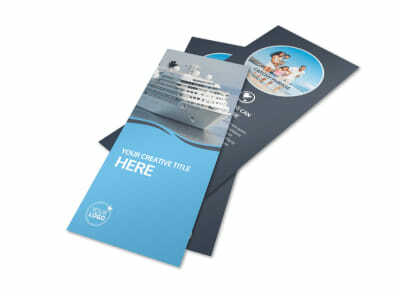 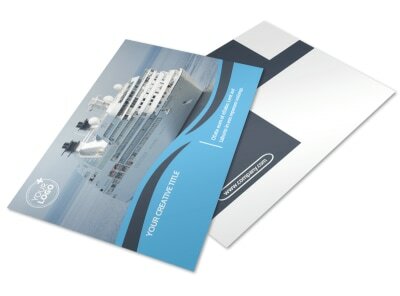 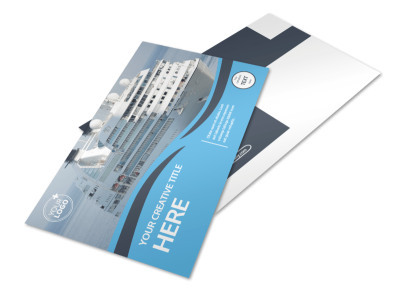 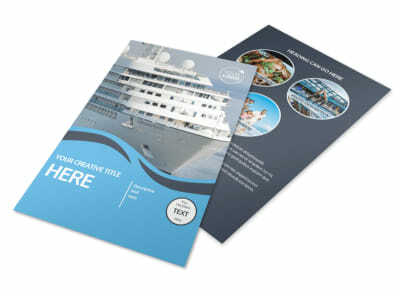 Customize our Cruise Ship Travel Brochure Template and more! 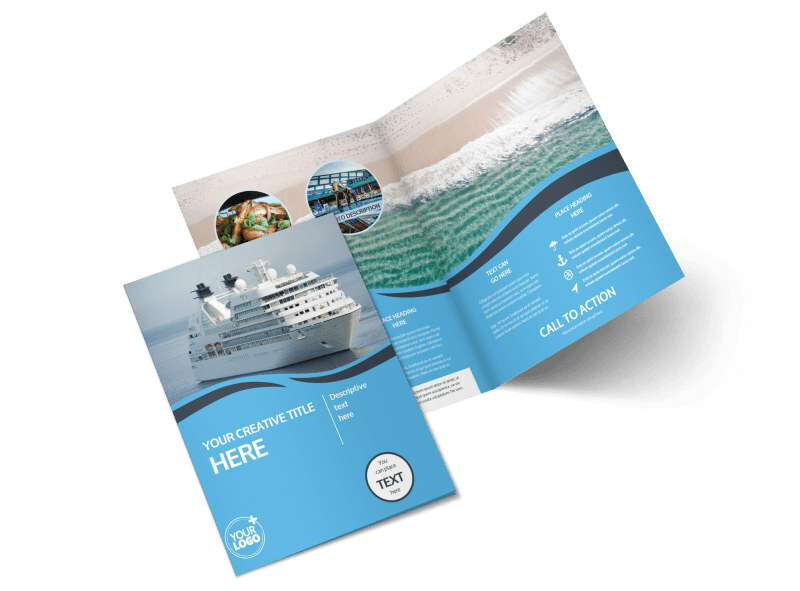 Chart a course to marketing success with cruise ship travel brochures customized to the hilt using our online editor and your choice of template. 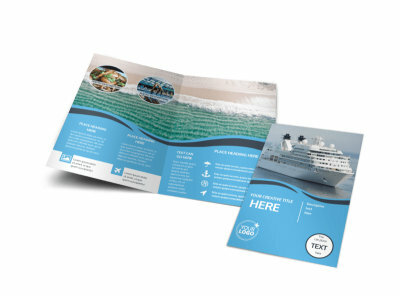 Pick a layout, add photos of the ship’s amenities, ports of call, and more, and then add details about itineraries, rates, booking and other important info. 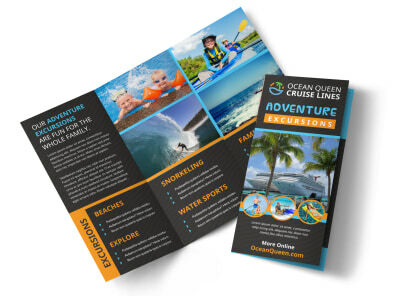 Begin the fun, fast, and easy design process now.